Exterior house painting increases beauty of your home and protects your home from normal damage that occurs because of prolonged exposure to outdoor elements. It can be difficult to know if the time is right to give your home a fresh coat of paint and usually, no one wants to face the time, expense and hassle until they have to. You don’t need to be an expert painter to know if your house needs painting. Take a quick walk around your home and look for these four signs that your home could use a new coat of paint.Then, call O’Leary and Sons and leave the work in the hands of capable professionals. Is the Color of Paint Fading? – Fading color is usually the first sign that the paint is starting to wear out. Exposure to light, heat and the elements will cause the color of your paint to dull and dim over time. If certain sections of your walls are fading, it is a clear indication that your home is long overdue for a paint job. Arrange for a dry towel and wipe it firmly against your siding. If you see chips come off then it is a sure sign that your home is not protected any longer. Is the Paint Peeling? – Paint provides a layer of protection to your walls. When moisture gets below that layer, the bond between the wall and paint weakens and they begin to separate. This causes the paint to peel. 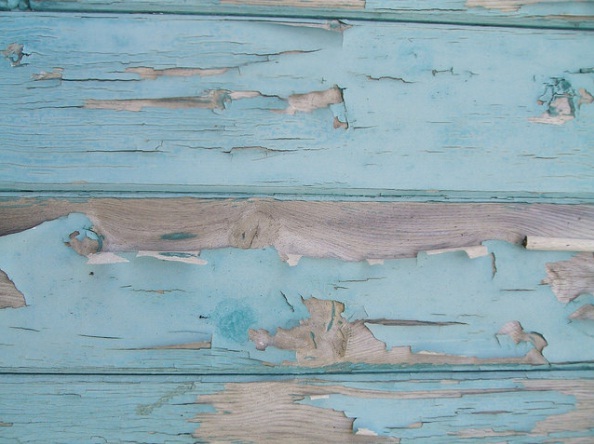 Peeling paint means that your wood or other siding is exposed and that leads to mold and mildew. The only way to correct the issue is to scrape the loose paint off, sand the area down, apply a coat of primer and then move onto a fresh coat of paint. Have you Noticed any Chalky Texture ? – To check for chalking, touch the paint surface with your fingers. If it leaves powdery residue on your fingers, it means that the paint is beginning to deteriorate and break down and ready to be re coated. Are There any Cracks in your Caulking? – Cracked caulking is a sure sign that your paint job is insufficient. Look for it around the door frames, window frames and anywhere the siding meets the trim. Small cracks can be filled with fresh caulking but major gaps mean that you need to apply a fresh coat of paint. O’Leary and Sons Inc. is a capable and customer friendly home exterior business that guarantees quality work. If your home needs to be repainted, they are the ones to call.